made with the fruit of the prickly pear cactus. 100% all natural with no added sugar or sweeteners. less than ½ the calories and sugar as coconut water while providing electrolytes, potassium, magnesium and antioxidants. 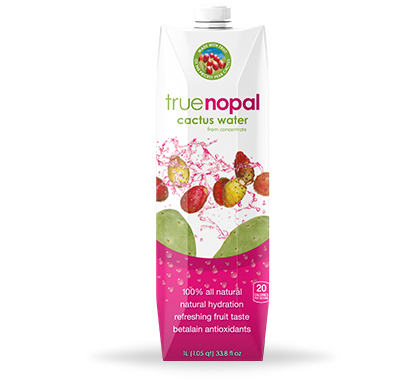 cactus water; it’s true… for thousands of years, the people of the sonoran desert have used the nopal cactus (prickly pear) for medicinal and nutritional purposes. they believed the nopal cactus was an essential element to their health and survival… it was good then it’s good now. 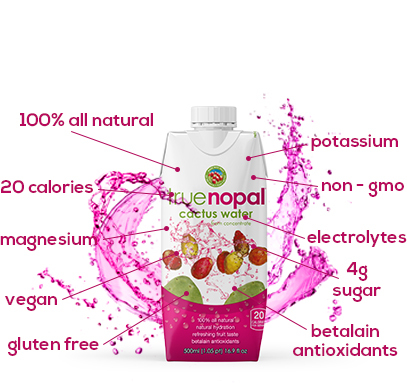 don’t just take our word for it, search “nopal cactus fruit benefits” and decide for yourself! 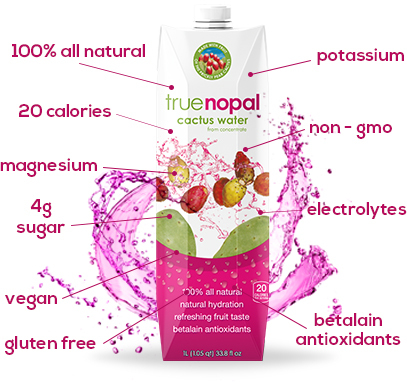 true nopal cactus water will hydrate and supply you with naturally occurring electrolytes and minerals including antioxidants, potassium and magnesium. 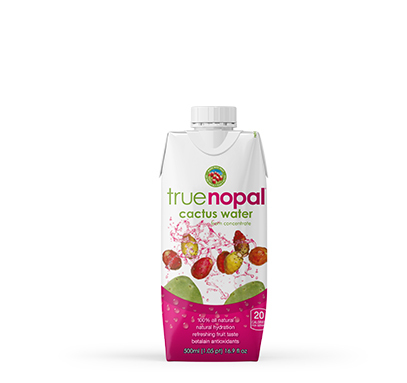 It has a refreshing fruit taste and uses all natural ingredients with no added sugars, no sodium, no preservatives, no fat, no gmo’s and it’s even vegan and gluten free, in other words it’s straight from the earth just the way it was intended to be, oh, btw, true nopal has less than half the calories and sugar as the leading coconut water. drink true… be true.